Apple on Tuesday released a macOS High Sierra 10.13.6 Supplemental Update 2, exclusively for 2018 MacBook Pro with Touch Bar models, but the release notes only mention improved stability and reliability. When contacted by MacRumors for clarification, Apple said the Supplemental Update improves system stability and reliability across a number of areas, and addresses several issues, including crackling audio and kernel panics. Apple said it recommends all users install the update on their MacBook Pros. The update hasn't been available long enough yet for any conclusive evidence from affected users, with mixed reports across the Apple Support Communities, Reddit, and our own MacRumors discussion forums. Apple Support Communities user takashiyoshida, for example, claimed his MacBook Pro "no longer outputs the crackling noise" after updating. "This evening, I set the microphone and speaker's sampling format to 44100 Hz and began playing back music on iTunes," he explained. "Before the update, I would normally hear the noise in about an hour. I left my MacBook Pro to play music for about three hours and so far I am not hearing any noises." Reddit user onceARMY, however, commented that he was "still getting audio crackling noise while playing YouTube content on Safari." He did note that there were "no issues with the Spotify app" after installing the update. As far as kernel panics are concerned, a handful of users have reported experiencing at least one since installing the Supplemental Update. "Installed today's update… and then it happened," wrote MacRumors forum member King724, referring to a kernel panic. He shared a log indicating a system crash related to bridgeOS, the device firmware on the logic board that controls many functions on the 2018 MacBook Pro, including the Apple T2 chip. Last month, Apple said it was looking into a small number of indirect reports about the kernel panics, but wouldn't say if the T2 chip was to blame. Similar reports of kernel panicking began last year with the iMac Pro, which is also equipped with the T2, so it did—or perhaps still does—seem to be a potential issue with the chip, or the bridgeOS firmware that manages it. There was some speculation that the T2 chip was also to blame for the crackling. For context, the T2 chip integrates several previously separate components, including the system management controller, image signal processor, audio controller, and SSD controller. It also features a Secure Enclave coprocessor for secure boot, encrypted storage, and authenticating Touch ID. Prior to yesterday's Supplemental Update, Apple support representatives provided customers with a wide variety of potential solutions to mitigate these issues, ranging from disabling FileVault to turning off Power Nap, but none of the workarounds appeared to permanently fix the problems. Apple also asked some customers if they would be willing to send in their MacBook Pros so that its engineers can look into the issues. Some customers were apparently told that fixes were in the works, and at least based on what Apple told us, they are included in the Supplemental Update. 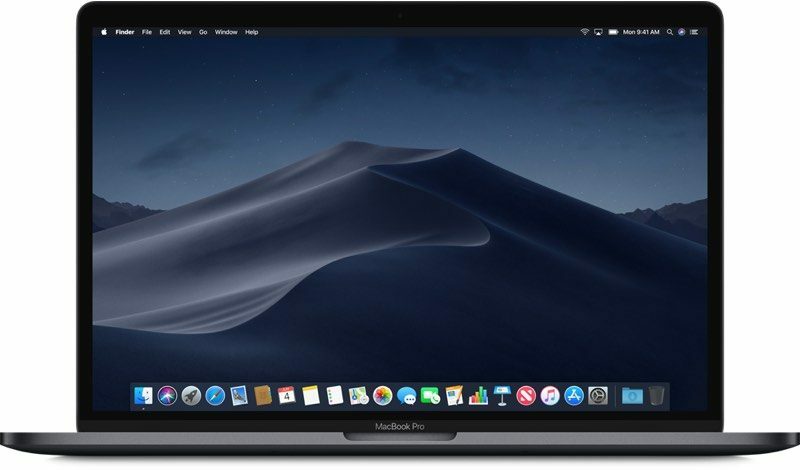 This is the second macOS High Sierra Supplemental Update for the 2018 MacBook Pro in as many months, with the first addressing a bug that contributed to excessive throttling of clock speeds under heavy thermal loads.